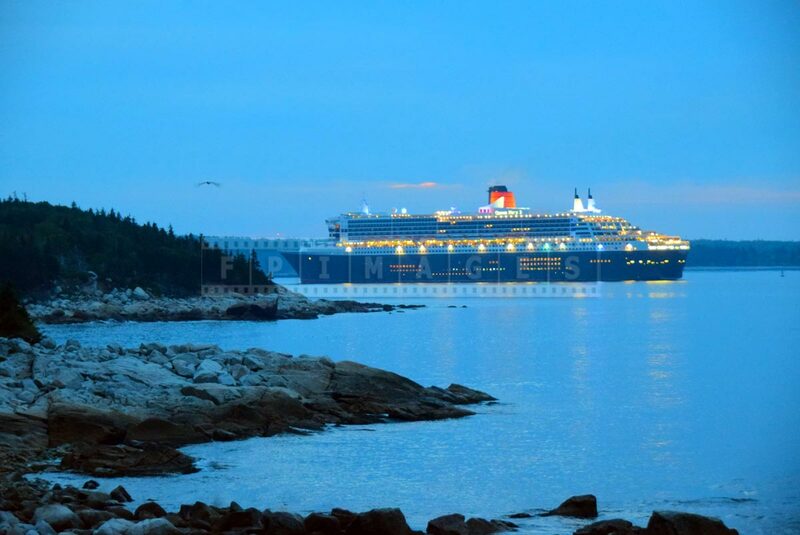 RMS Queen Mary 2 is a beautiful cruise liner and a flagship of Cunard Line. 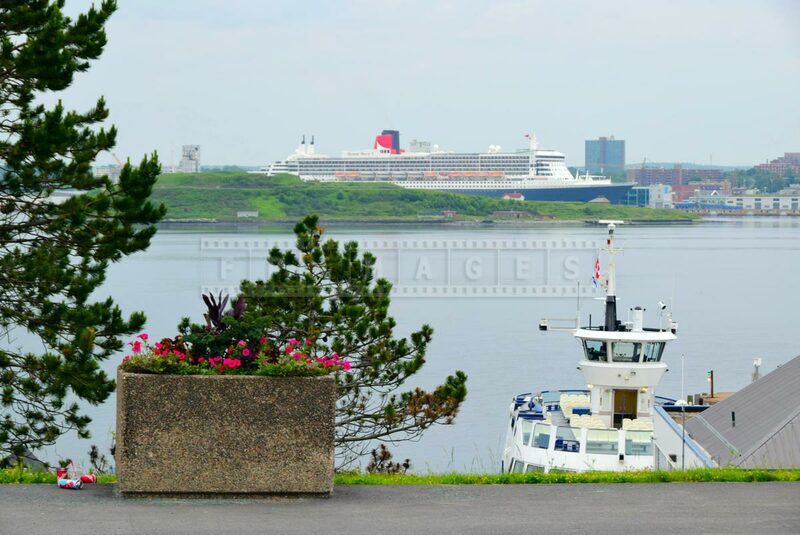 FPImages presents 25 ship pictures as she enters Halifax, NS, Canada harbour for 175-th Cunard Line anniversary on July 10, 2015. 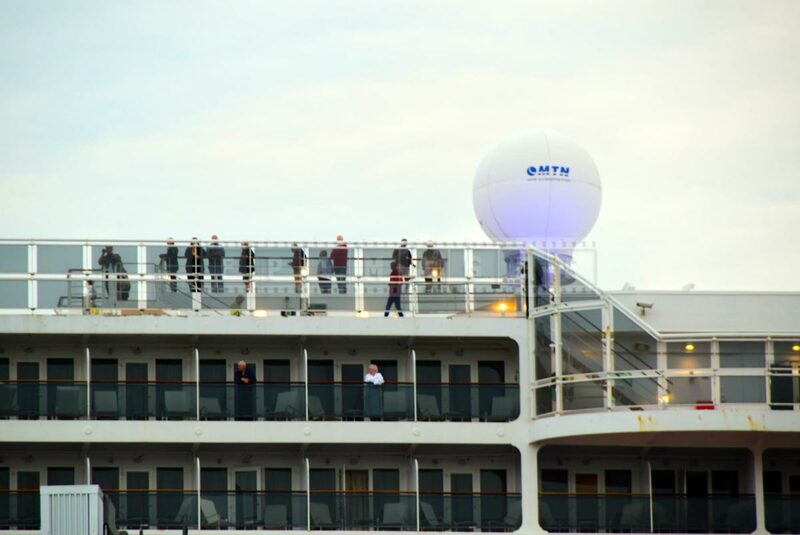 This cruise began on July 4 in Liverpool, UK to commemorate first regular transatlantic voyage between England and North America to carry mail. 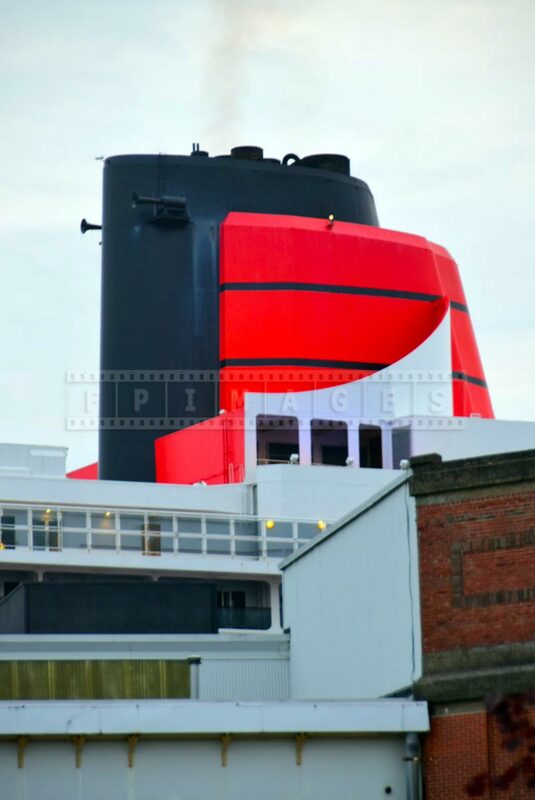 Queen Mary 2 does not carry mail anymore but is still designated as RMS – Royal Mail ship as a tribute to long history of Cunard Line. 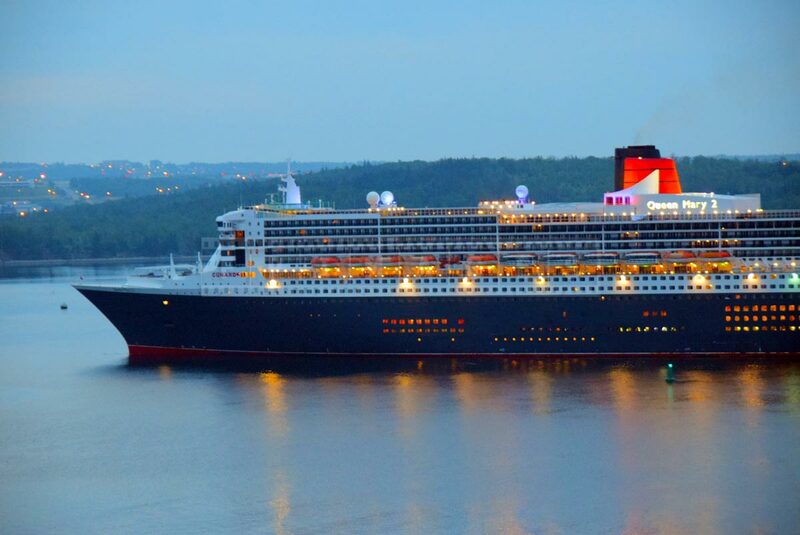 175-th Cunard Line anniversary is a great achievement and an opportunity for the company to promote itself and for passengers to learn about maritime history. 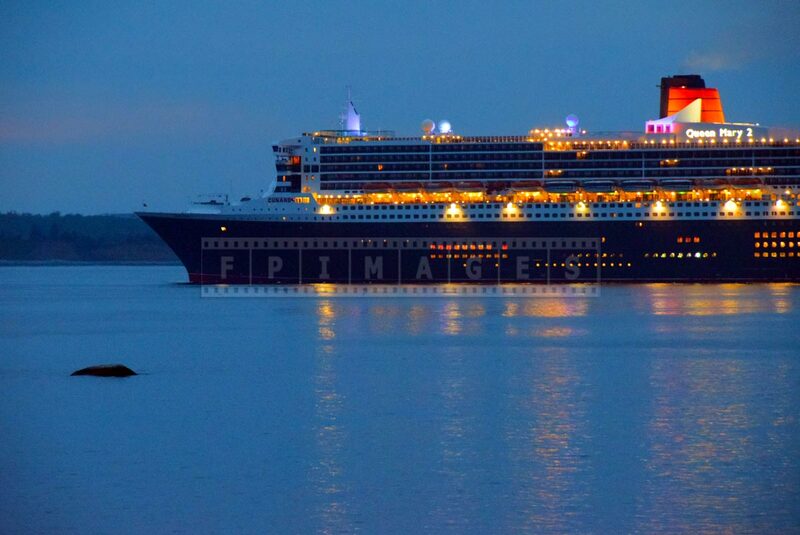 Queen Mary 2 differs from regular cruise ships. 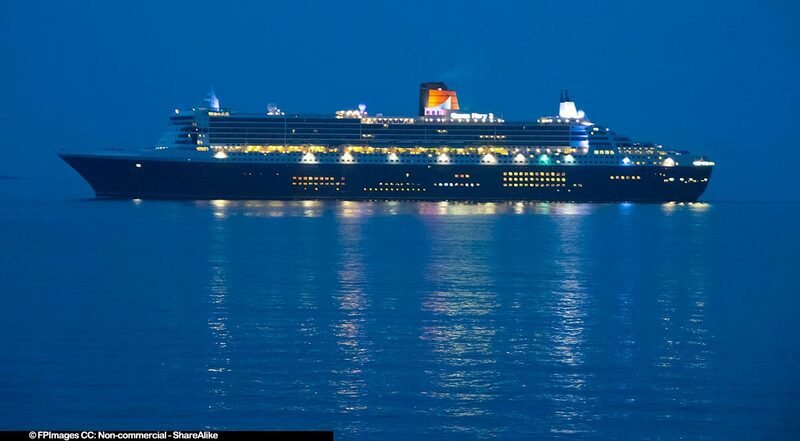 This ship is truly a cruise liner – i.e a ship specifically designed to deliver regular service between ports. 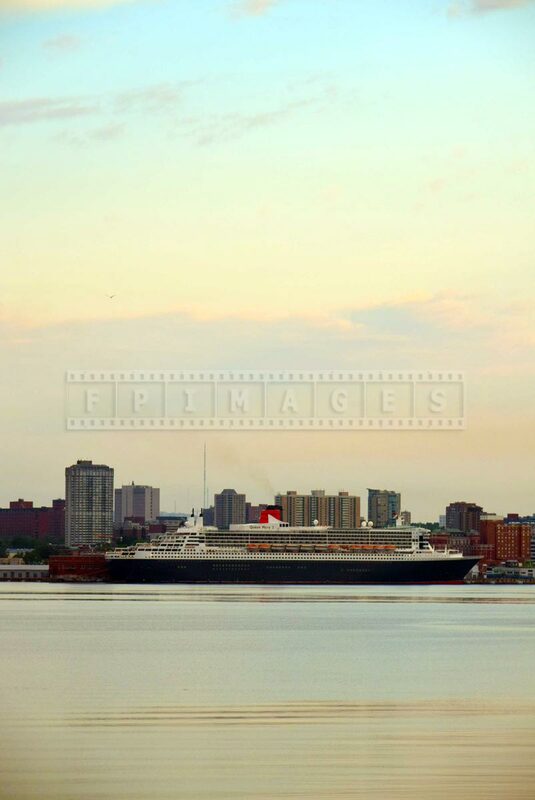 RMS Queen Mary 2 sails on regular transatlantic service from Southampton, UK to New York, USA during summer. 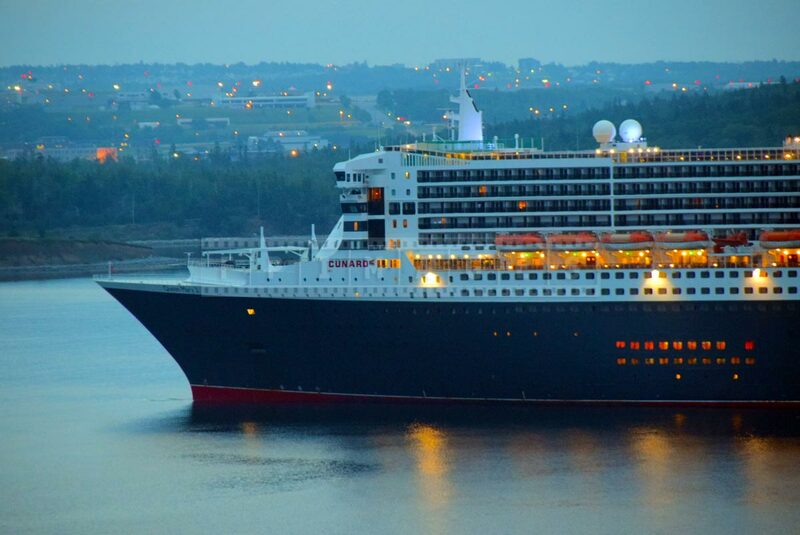 This cruise liner has top speed of 30 knots and normal operating speed of 26 knots. 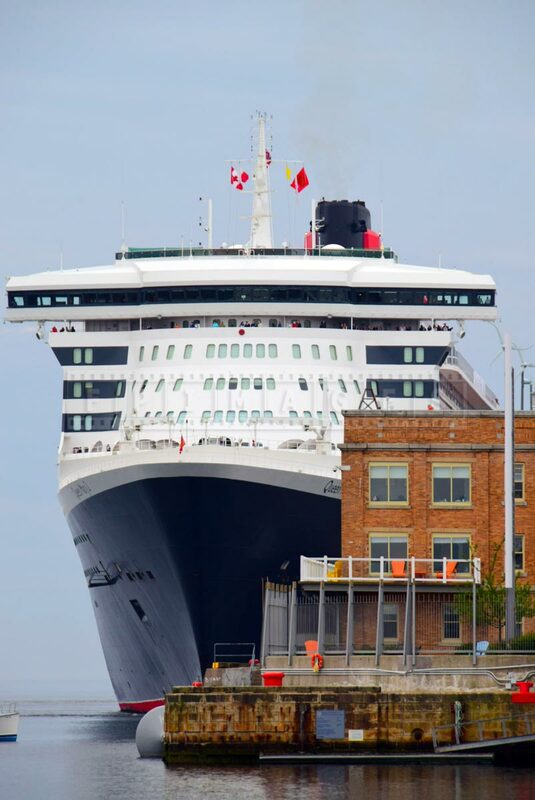 This is much faster than other cruise ships. 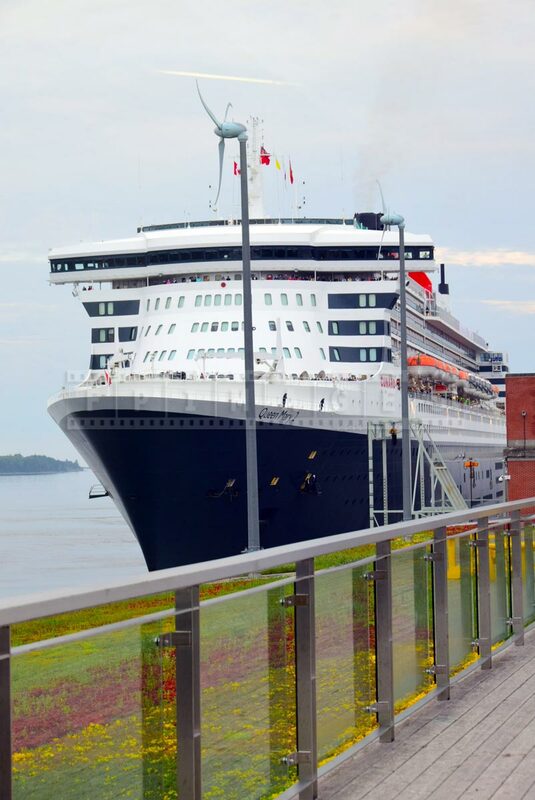 Speed was very important factor in delivering mail and Cunard Line held many records for the fastest transatlantic crossings. 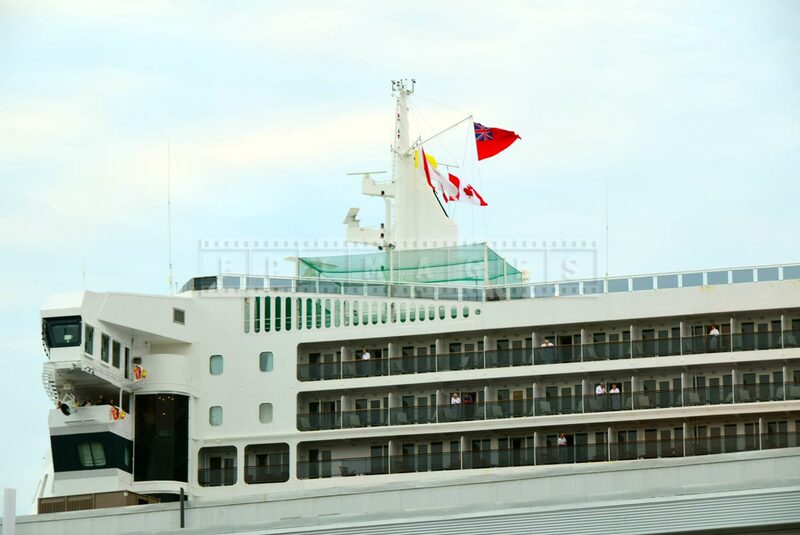 Everything in this ship’s design speaks about speed – the beautiful bow, elegant structure and hull lines, traditional stern. 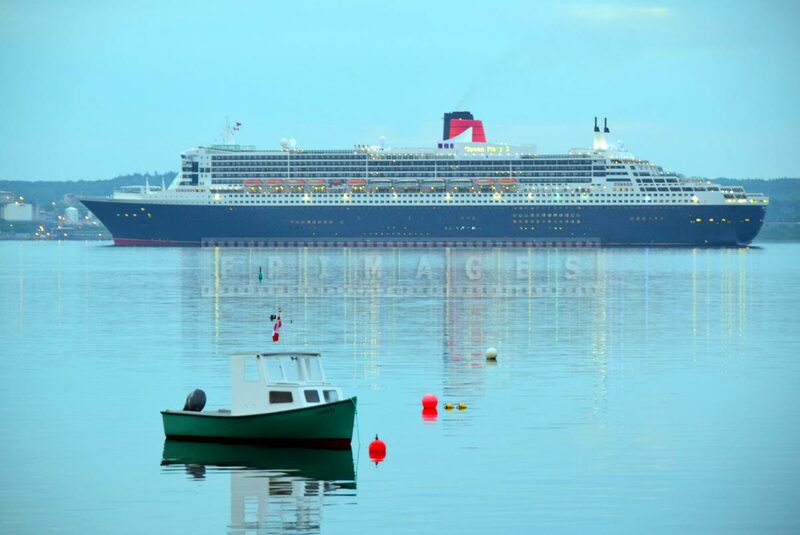 175-th Cunard Line anniversary transatlantic crossing included stops in Halifax, Nova Scotia, Canada and Boston, USA. 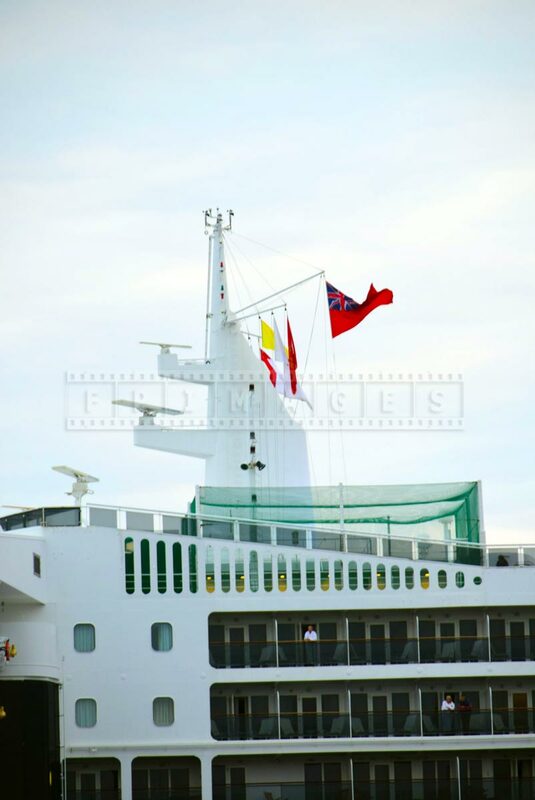 Two ports were mail service had to be delivered. 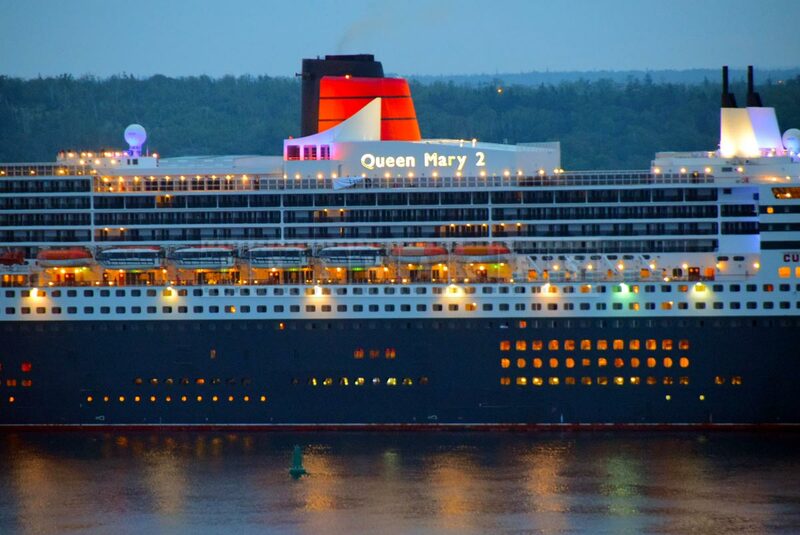 Port of Halifax is of special importance for Cunard Line as it was a birthplace of Samuel Cunard – founder of the company. 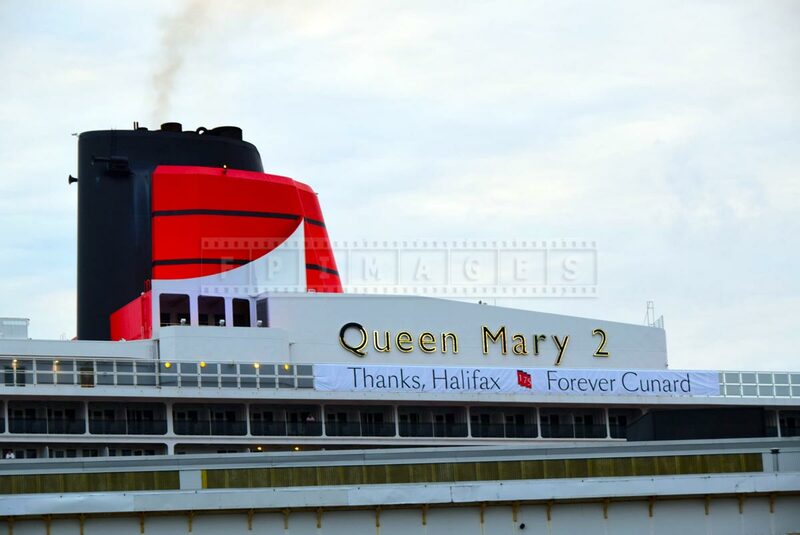 When Queen Mary 2 docked in Halifax on July 10, 2015 there was a sign just under the funnel saying: ‘Thanks Halifax, 175 forever Cunard’. 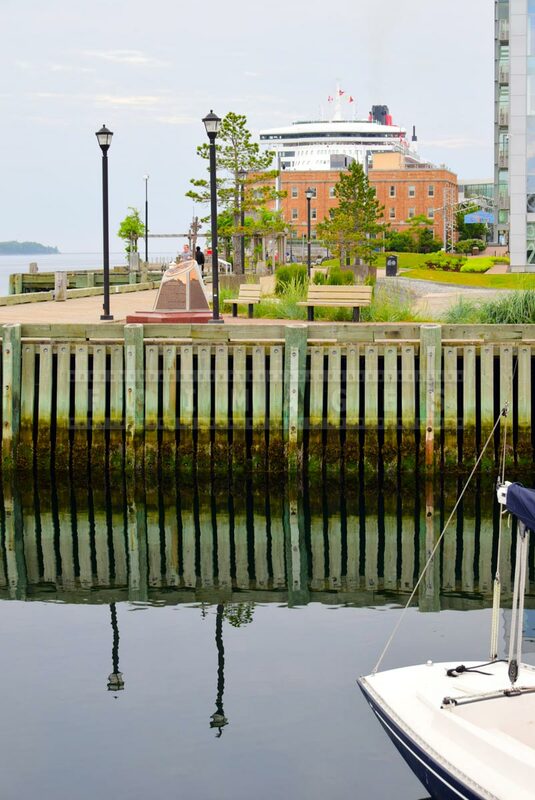 Halifax, Nova Scotia is a very important port on the East Coast of Canada. 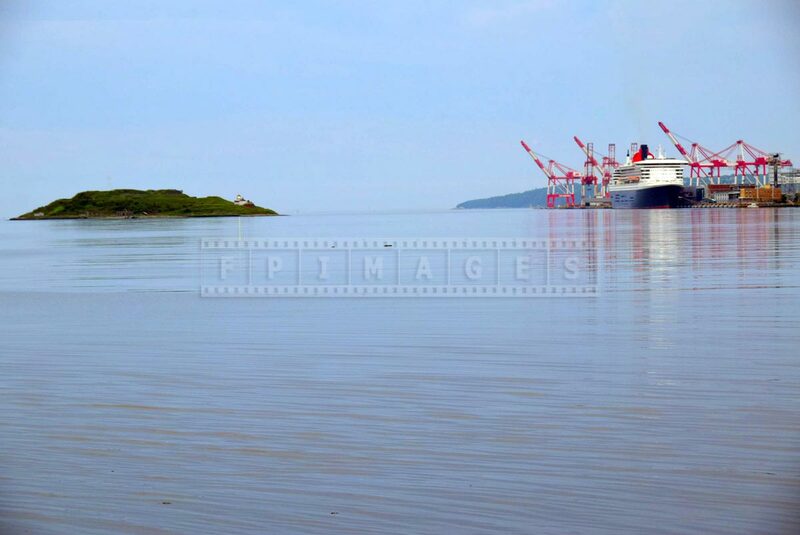 It features large harbour that does not freeze in winter and is very close to major shipping routes. 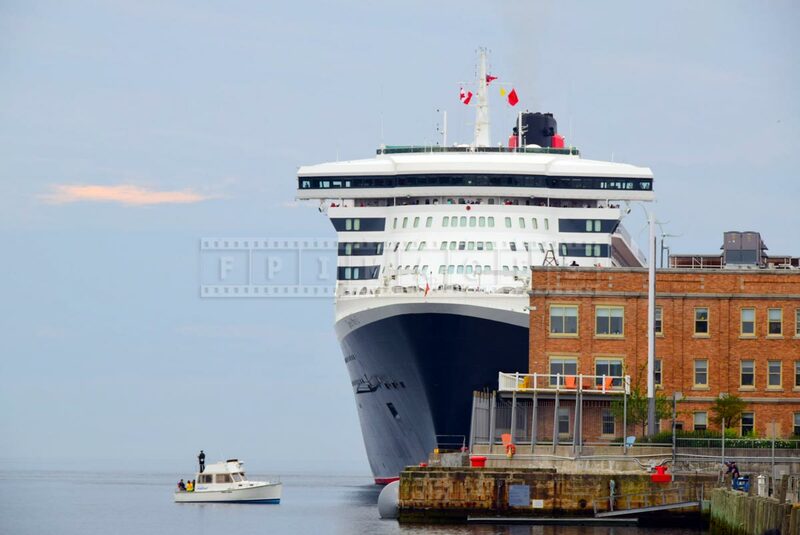 Halifax played a major role as a British naval base in 1800s. 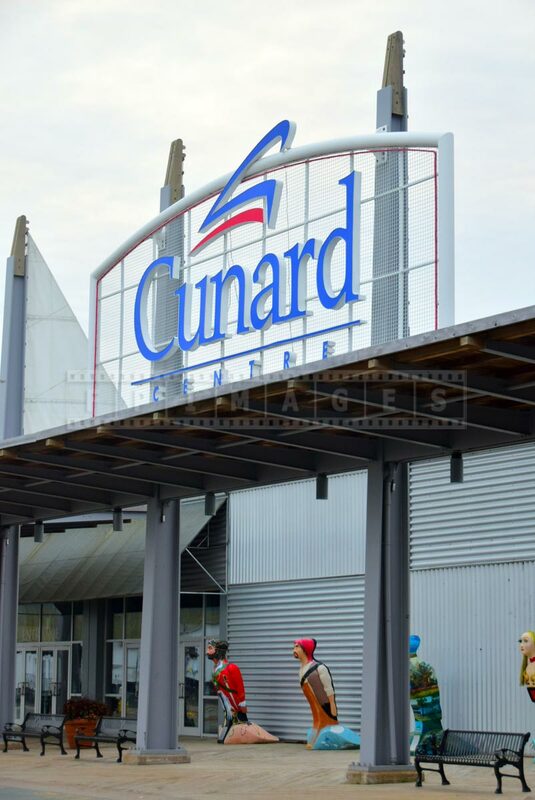 Visitors can learn more about its history at Halifax Maritime Museum. 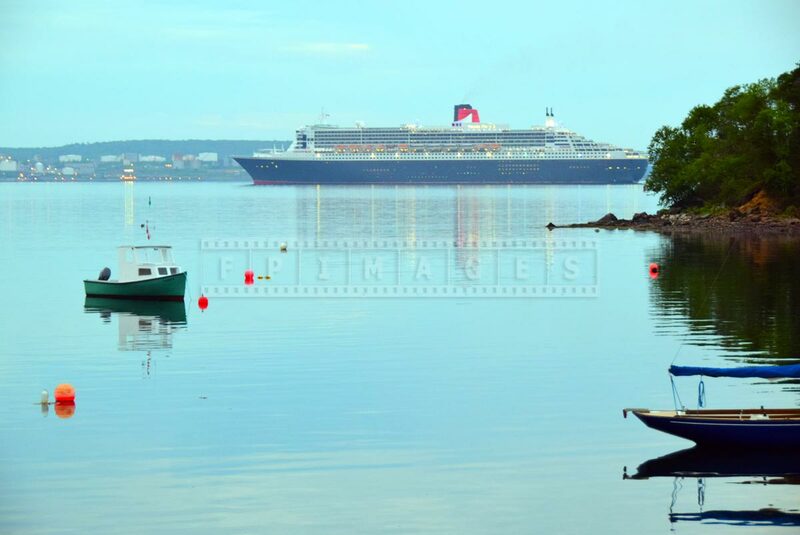 RMS Queen Mary 2 followed traffic separation rules as it approached Halifax harbour. 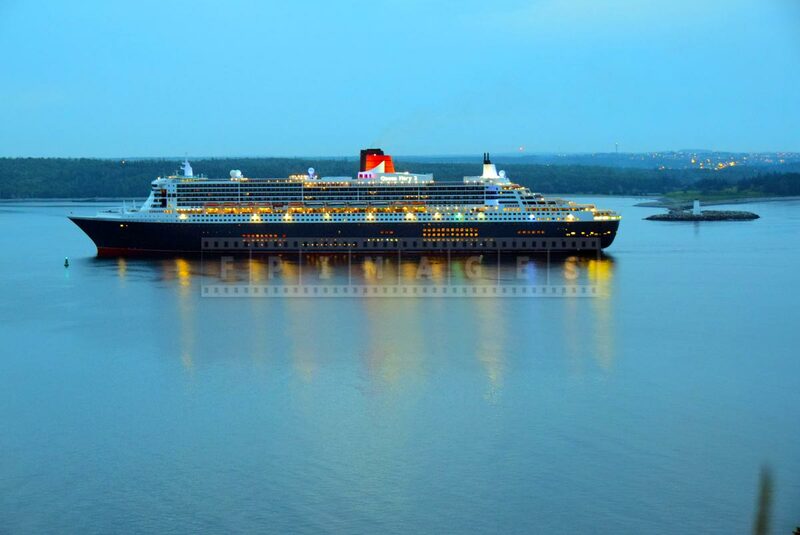 This route takes ships close to the shore and you can enjoy scenic seascapes and nautical scenes. 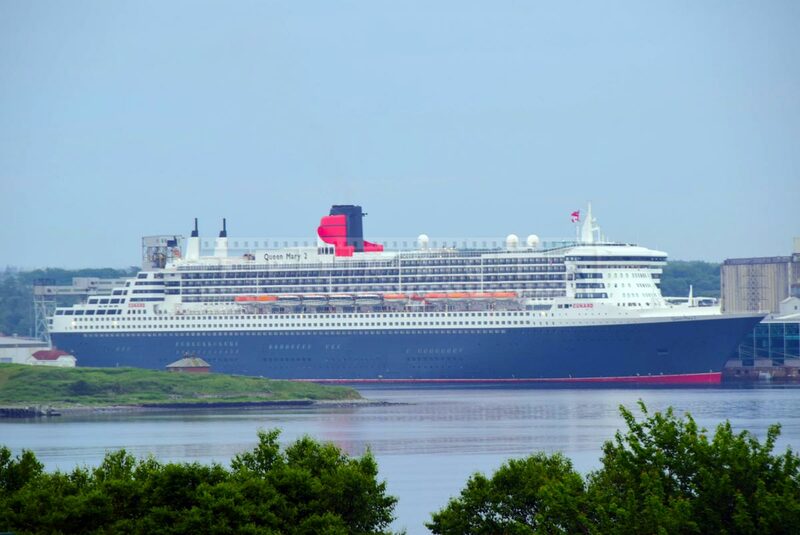 This makes a great road trip idea to see ships coming and going from Halifax. Simply follow the local road 253 and then 349 from Armdale rotary. 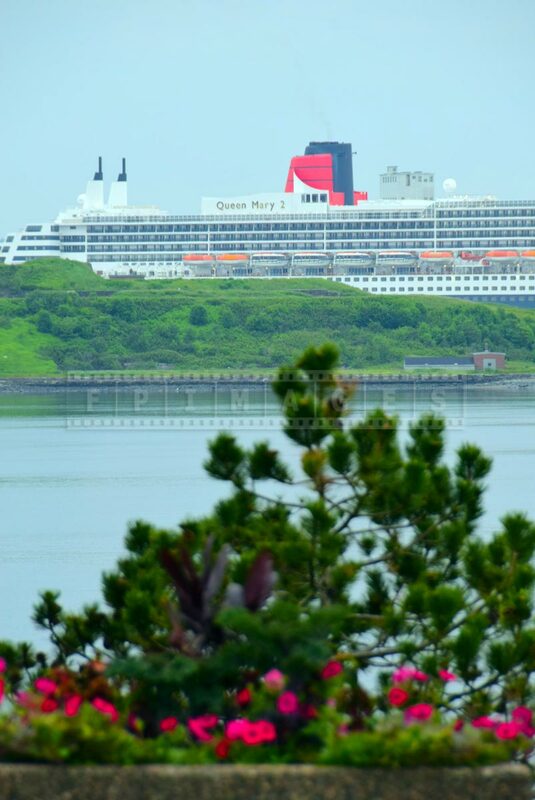 There are several good observation points along the way – Purcell’s Cove, York Redoubt, Hayes Gardens near Herring Cove Provincial park and picturesque Chebucto Head lighthouse.